BYJU's looking for Not Mentioned vacancies in Business Development Associate post. 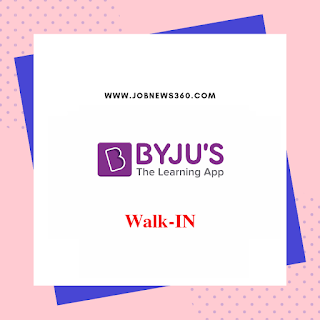 Are you looking for a job in BYJU's? This is a great opportunity for you. Don't miss this opportunity. Full details about the BYJU's shared below. Full details include pay scale, age limit and apply the procedure shared below. There is only one way to apply for these job via Online only. Full method shared below. Official website https://byjus.com/ shared full details about this job. For the latest job recruitment 2019 regularly check our website and join our telegram group. BYJU's is one of the leading educational Android app in India. Now, They looking for Business Development executive for sales and marketing team. BYJU's currently recruiting for the post of Business Development Associate. Total Not Mentioned vacancies available. Full details about posts and vacancies listed below. January 19th and 20th 2019 Walk-IN at Delhi, Mumbai, Kochi, Lucknow, Jaipur, Indore, Goa, Trichy, Raipur, Madurai and Vijayawada. January 26th and 27th 2019 Walk-IN at Chennai, Pune, Kolkata, Mangalore, Nagpur, Coimbatore, Agra, Kanpur, Mysore, Patna and Surat. February 2nd and 3rd 2019 Walk-IN at Hyderabad, Bangalore, Trivandrum, Chandigarh, Ahmedabad, Ranchi, Hubli, Bhubaneswar, Bhopal, Vizag and Kozhikode. 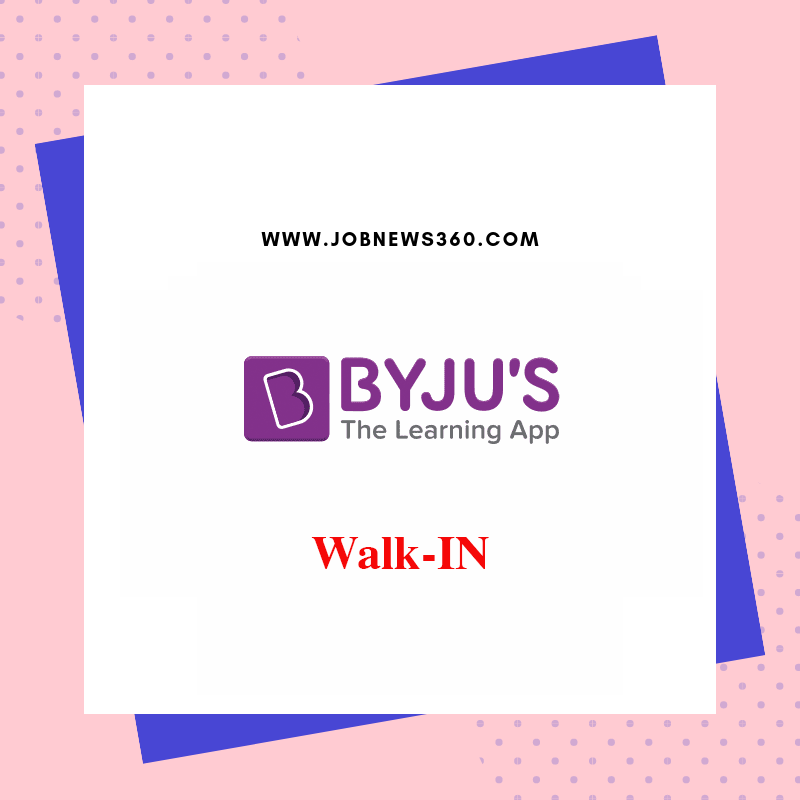 How to apply for BYJU's Recruitment? Done. You'll get more details via mail.